… served in pink – love it. HOT SPOT 1: THE COFFEE FACTORY. 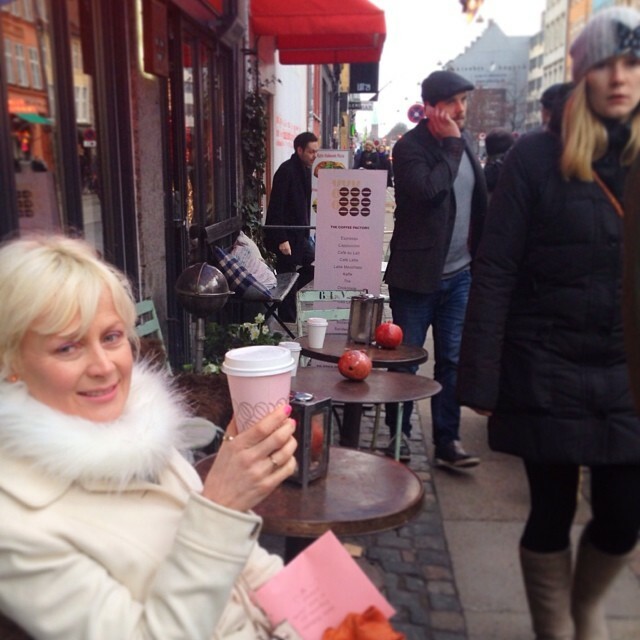 Had a stroll down Gothersgade today and said hi to sweet owner Bente at The Coffee Factory. We’re planning on doing some PR business together to make Gothersgade an Even More Hot Spot in Copenhagen – stay tuned. HOT SPOT 2: LOT#29. When making Big Plans with Bente I was introduced to Cille, owner of Lot#29, women’s clothing shop, another fabulous place-to-be on Gothersgade. HOT SPOT 3: HELLE THORUP. A third pleasant place to hang out on Gothersgade is Helle Thorup, the skin experts in No. 43. You probably know the name from several other of my blog posts, because I just looove their products and treatments!